This review is a bit different than the ones I’ve done in the past. As part of our ongoing effort to raise money for Give Kids the World, we decided to start ‘auctioning’ off these reviews. Site visitors and/or listeners to our podcast, the DIS Unplugged, could bid on joining us for the review. The winners would receive 3 nights at the chosen resort, along with meals and some special surprises. 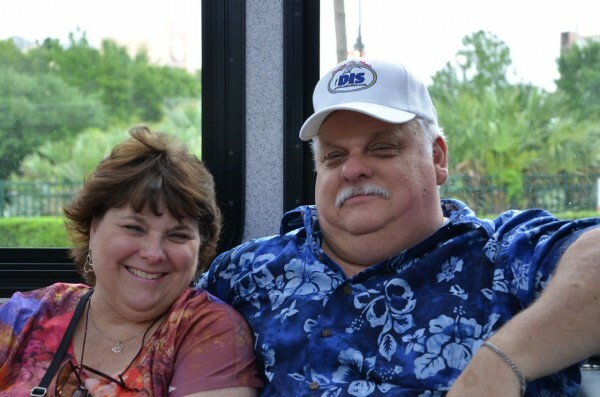 For this trip, we had the pleasure of being joined by longtime DIS’ers Bill and Kim Main. 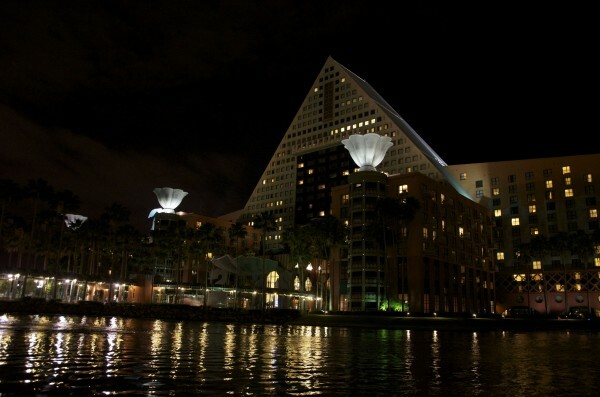 Disney’s Yacht Club was built in 1990 by famed architect Robert A.M. Stern, with a theme meant to evoke a nautical, New England feeling and was rumored to be the favorite resort of then Disney chairman Michael Eisner. 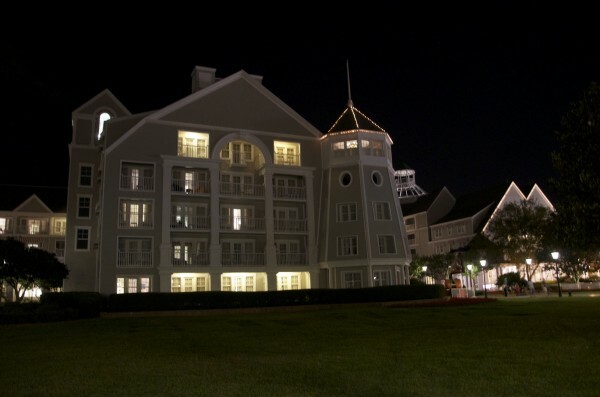 Situated on Crescent Lake, the 630 room resort is bordered on one side by Disney’s Beach Club resort and on the other side by the Walt Disney World Dolphin. 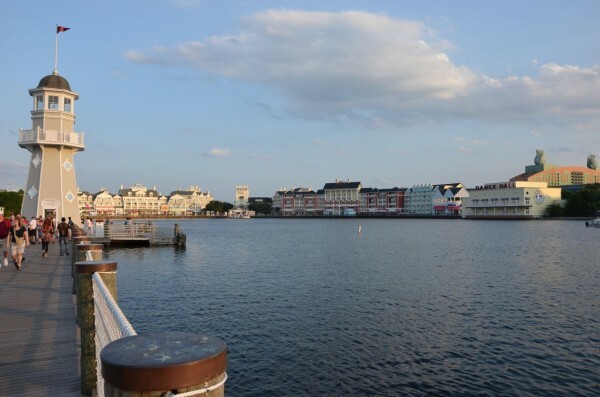 Across the lake is Disney’s Boardwalk Inn Resort and along with the Walt Disney World Swan these resorts make up the Epcot resort area. I’ve always felt that the lobby is one of the most important aspects of any hotel – it’s pretty much the first thing you see and in many cases it can be a harbinger of what’s to come as you venture deeper into the building. 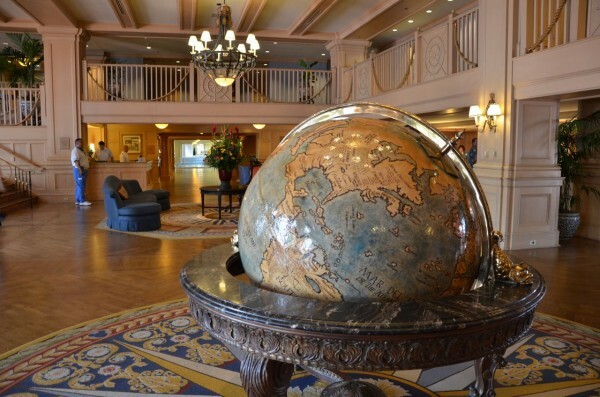 A nice lobby usually indicates a nice hotel (granted, this isn’t a hard and fast rule). It can set the tone for your stay and set up your expectations (or dash them). 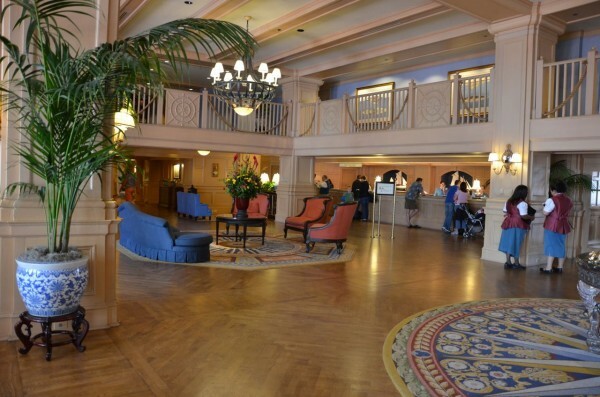 The lobby at the Yacht Club is among one of my favorites. The low ceilings, wood floors and decorative touches go a long way to creating a warm and elegant atmosphere. It’s a very inviting place, almost like coming into someone’s living room – if that someone is a Kennedy, perhaps – but still – very elegant without being overly pretentious. For this visit, we decided not to use express check in. Even if we had, I can’t imagine the check in process would have been faster. As is customary at all Disney resorts, you have to announce yourself to the guard at the main entrance before driving through. As we pulled up to unload our bags and valet park the car, we were greeted by name from someone at Guest Services and escorted to the front desk for check-in. In my previous experience, things like this only happened when you were flagged as a VIP, or if you were staying on the concierge level (and even then, it was not consistent). Apparently, this has now become standard procedure at the Deluxe resorts, and while it’s a simple touch, it really goes a long way. There is something special to being greeted by name before you even walk into the hotel. Once at the check in desk, we were warmly greeted by a friendly and professional cast member who took our information, issued our keys and wished us well on our way. From car to completed check in was maybe a 15 minute process. Unfortunately, for our friends Bill & Kim who were traveling with us, the check in experience was not quite as smooth. The room assigned to them was not yet ready when they checked in around noon. Walter and I arrived around 2:30 and our room was ready to go – but their room was not. Apparently, because the reservations had been ‘linked’ (meaning we were two families traveling together), they wanted to give Bill and Kim a room close to ours, even though there were other rooms in the hotel that were ready and would have been fine. Bill also noted that he had done the online check in, but no packet was made, keys weren’t ready and in his opinion, there was no real benefit to using on-line check in. Having stayed at every resort on property multiple times, it’s pretty hard to surprise me. Its been a few years since I’ve visited the Yacht Club and I have to admit that I was really impressed with the room when I walked in. The colors were bold, the furniture beautiful and the room spacious. 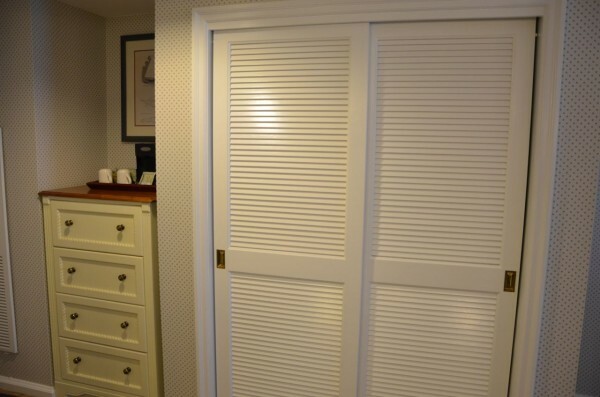 These rooms are large by Disney standards – about 375 sq. ft. Our room had two queen beds, a chair, and a balcony overlooking the courtyard. 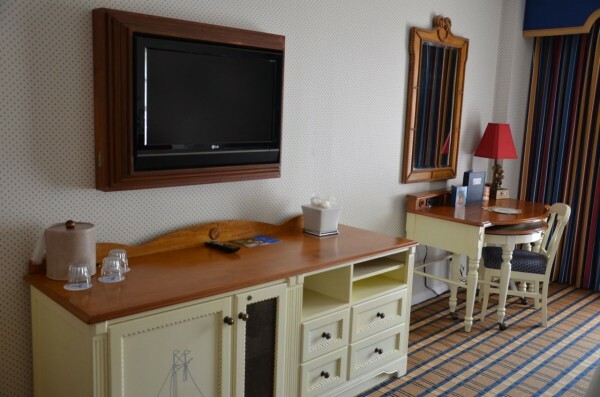 Having been newly remodeled, the room also featured a desk with easily accessible power outlets as well as an Ethernet connection. 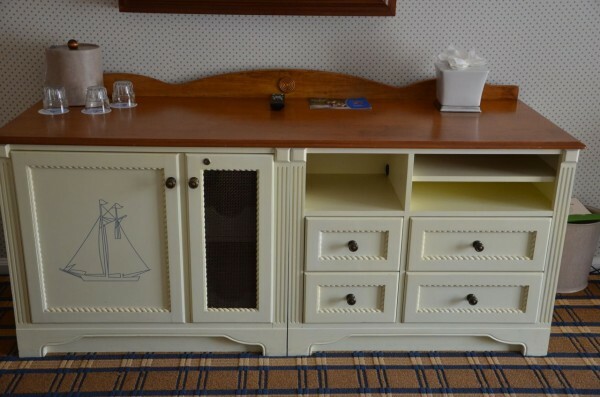 While you can connect via Ethernet, the resort now has Wi-Fi in all the rooms. While the Wi-Fi is free, it is PAINFULLY slow and is prone to dropped connections. I found that connecting my computer directly to the Ethernet connection on the desk was a little faster and far more reliable. The room also features a flat screen TV (recessed into the wall, which was a nice touch and help keep the feel of the room open and spacious). 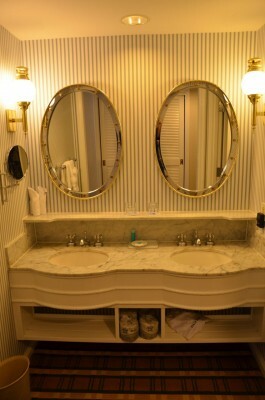 The nautical touches throughout did a great job of carrying the theme of the resort. 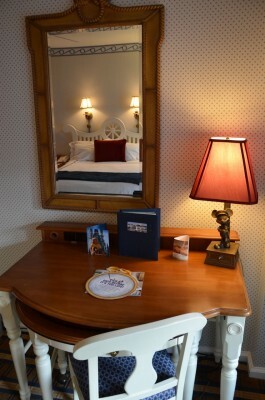 The beds here are consistent with other Disney deluxe hotels – that’s to say that they are very comfortable. 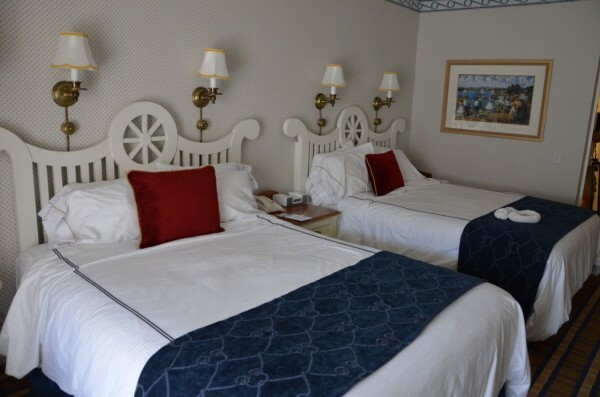 These beds are great to fall into after a long day in the parks. The lights above the beds can be dimmed or shut off from a switch just above the nightstand. I know some of you are like me and care a bit more than we should about the in-room coffee situation. Especially if you’re a coffee snob who has spent any meaningful amount of time on Disney property, the mention of “Disney” and “Coffee” in the same sentence can set off a PTSD-like response. There is no sign of the vile ‘Cafe Valet’ coffee that once infested Disney hotels. 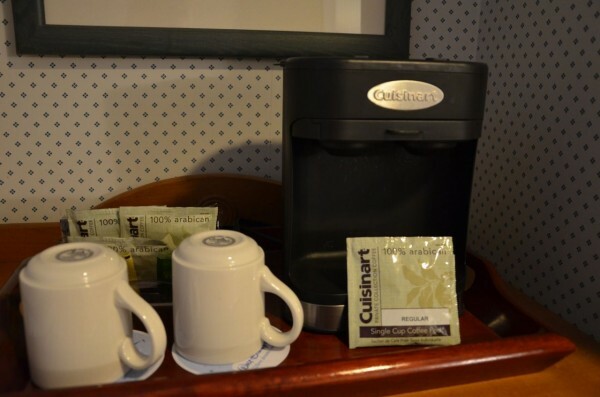 Now, we have a Cuisinart two cup coffee maker, with individual coffee pillows (also made by Cuisinart). While this is light-years better than the Cafe Valet coffee, it’s still a far cry from ‘good’. Disney is moving in the right direction here, but I really wish they would break down and just put a Keurig machine in every room. Hell, charge me for the pods – I don’t care – I just want a decent cup of coffee before I take my shower. Countless children have been terrified by the site of my un-showered – half asleep personage wandering the halls of a Disney resort in search of coffee that didn’t taste as though it was brewed in a sewer. Oh, and for those who haven’t visited Disney before and like a good cup of coffee – do yourself a favor and stock up on bottled water. You NEVER want to drink coffee that was brewed with Florida tap water – unless you like your coffee with an undertone of chlorine and despair. 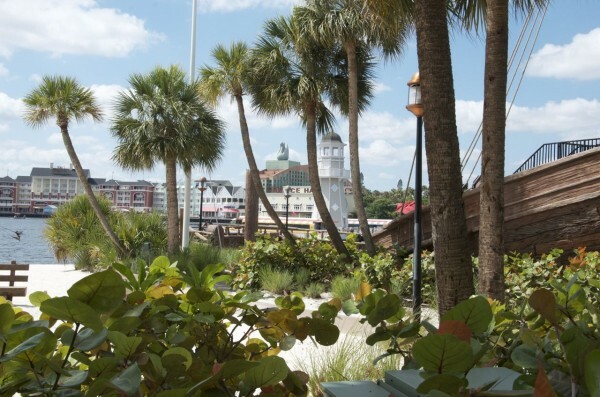 Transportation options at the Yacht club come in two flavors – water shuttles to Epcot and Hollywood Studios and bus service to everything else. We decided to head over to Downtown Disney to do some shopping and for the purpose of this review, we decided to take a bus. I timed this from the point that we arrived at the bus stop to the time we reached Downtown Disney, which was 46 minutes. By car this is about a 10 minute trip, but in spite of that it wasn’t a bad ride. The bus wasn’t full, everyone had a seat and God was in his heaven so we were happy. Coming back to the Yacht Club was another story. This time the bus was full, and although Walter and I found seats when we got on, we saw several women standing and gave up our seats to them. While I certainly don’t regret doing that, we were stuck with a bus driver who seemed to think slamming on the brake and watching all the guests who were standing nearly fall to the ground was an important part of our vacation experience. He also seemed to think that ‘curbs’ were more suggestion than rule and proceeded to jump one on just about every turn he took. This was less a mass transportation experience than it was a really bad thrill ride. After 20 minutes of this I started yelling at him. After 40 minutes when we arrived at the Swan, I was done and we got off the bus to walk back to our hotel, vowing NEVER to step foot on one of these things again. I realize renting a car is expensive, but with God as my witness I would rather stay home than have to endure that bus service again. While this isn’t the fault of the hotel, I think Disney needs to really review the entire bus system. I’m starting to understand why there have been so many incidents and accidents with the buses in recent years, and I’m not interested in being part of the trend. 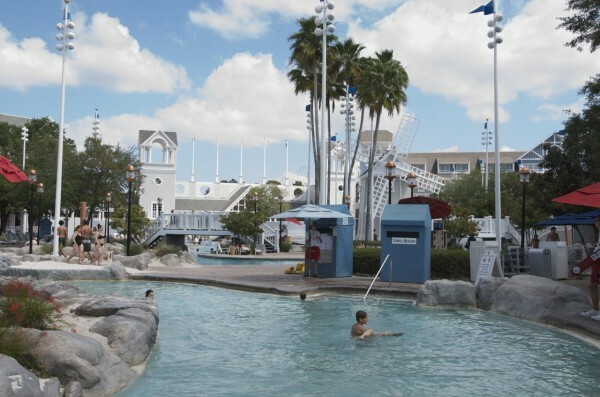 Stormalong Bay is a shared pool with Disney’s Beach Club resort and is without question the most popular pool on Disney property and arguably the best in Orlando period. Admittance to the pool is tightly controlled – no visitors, no pool hoppers – only registered guests with key cards can get in. During our stay a large portion of the pool was undergoing maintenance (a broken water filter from what we’re told). However, part of the pool and some of the hot tubs remained open. 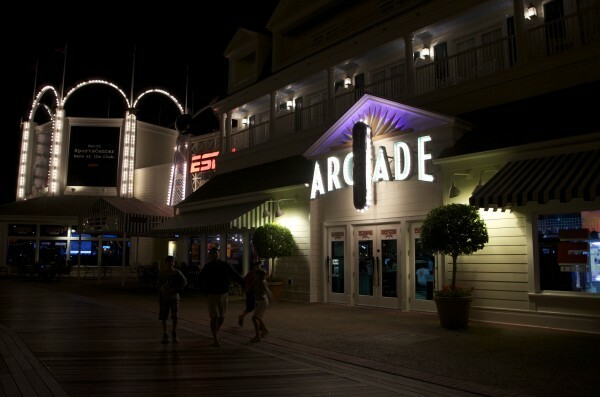 While maintenance was taking place, the resort was providing shuttle service to the Boardwalk for guests to use that resort’s frightening Luna Park pool. That particular pool has always creeped me out because it reminds me of Pennywise the Clown from Stephen King’s “It”. Tell me I’m wrong. And while we’re on the subject, what possessed the Imagineers to create a pool slide that makes it look as though a clown is throwing up children? I’m just asking. 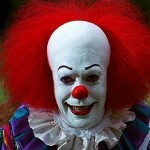 By contrast, Stormalong Bay will not terrorize your children or keep them up at night. 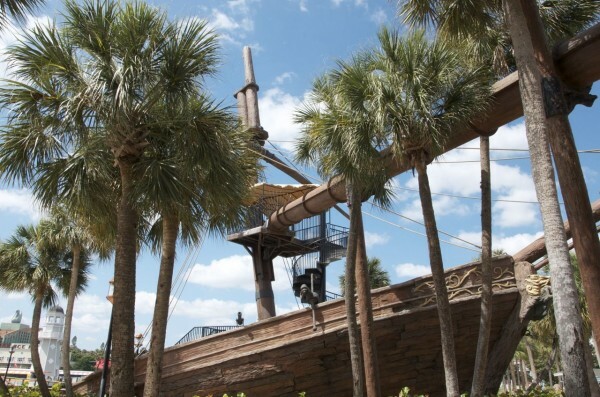 The area features a sand bottom pool with a lazy river that winds between the Yacht and Beach Club, along with three hot tubs, a kiddie pool, and a water slide that is accessed from the large wooden ship that sits across the walkway on the beach. The beach is another semi-unique feature of this resort. 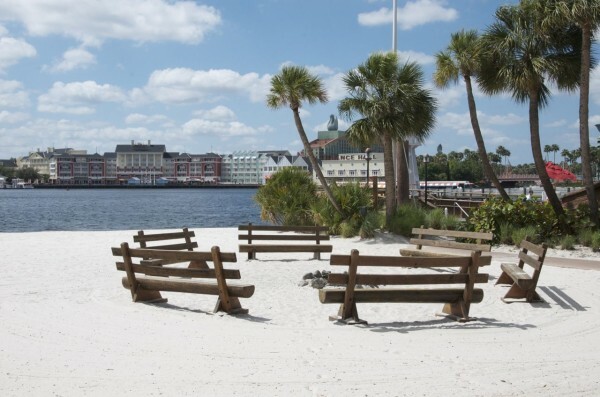 Several lounge chairs and a camp fire pit are found on the beach along Crescent Lake with a fantastic view of the Boardwalk. 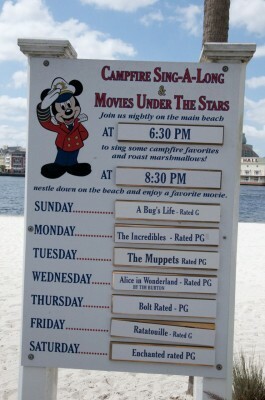 In the evenings, there is a campfire sing-along and movies are shown here on a large, inflatable movie screen. This beach has very special meaning to me – it was here where I spent about 5 hours in the spring of 1999 fleshing out the details for what would become Dreams Unlimited Travel. We ended that night watching the fireworks going off in Epcot. It was one of those moments you don’t forget. 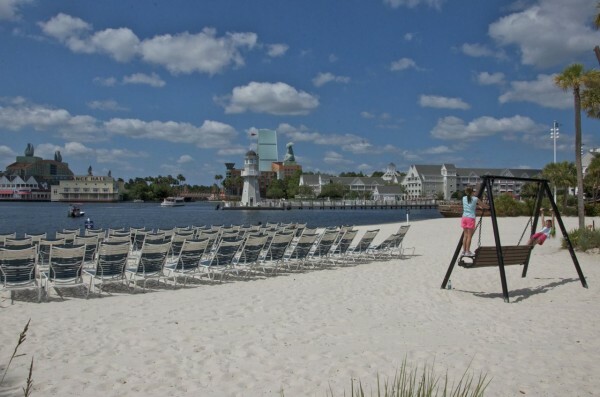 Even if you’re not coming up with a business idea, the beach is a great place to relax during the day, and to watch the fireworks at night if you don’t feel like going into Epcot and braving the crowds. Signs along the beach warn you that swimming is not permitted, not that a sign will stop stupid people from doing it. If you listen to our podcast, The DIS Unplugged, then you know how angry this makes me. These lakes are NOT SUITABLE FOR SWIMMING. Especially in the warm summer months, there are really bad things in these lakes that can kill you. Not trying to put a damper on your vacation, but a little common sense goes a long way. There’s a perfectly good pool about 200 feet behind you – use that to swim in otherwise Johnny and Jane could end up with a brain eating amoeba that will kill them in about 5 days. So, STAY OUT OF THE DAMN LAKES!!! 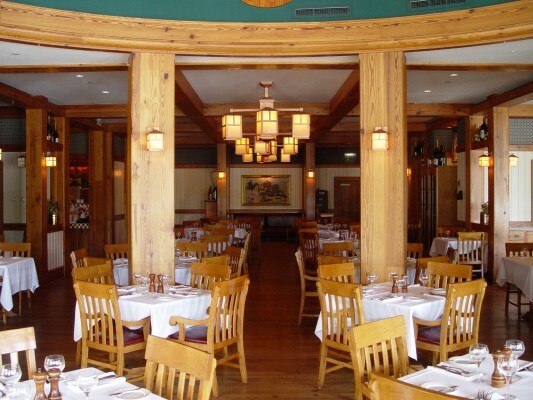 You have two ‘real’ dining options at the Yacht Club – The Captain’s Grille, which is located just off the main lobby and serves breakfast, lunch and dinner, and the venerable Yachtsman Steak House which serves only dinner. There is also the Crews Cup lounge adjacent to the Yachtsman that does serve bar food throughout the afternoon and evening. The Captain’s Grille was previously known as the Yacht Club Galley and in those days this was one of my favorite places to eat. 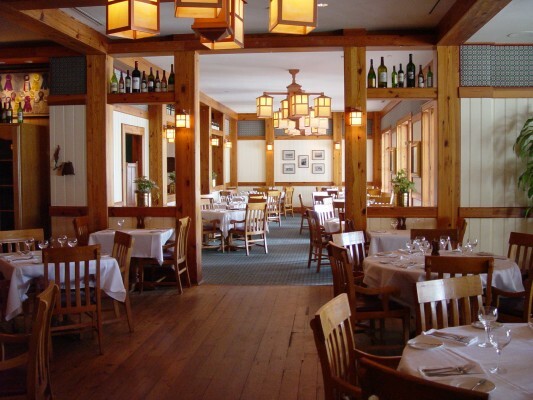 The food was excellent, the prices reasonable and you would rarely need a reservation to eat there. Apparently when the name changed, so did the quality of food. What they are serving now is well below standard, and our experiences over the last few years have been consistently bad. However, our dinner at the Captain’s Grille during our stay hit an all new low. None of us found our meals very appealing – ‘bland’ and ‘tasteless’ were mentioned more than a few times – but then a new word entered the conversation- ‘hair’. 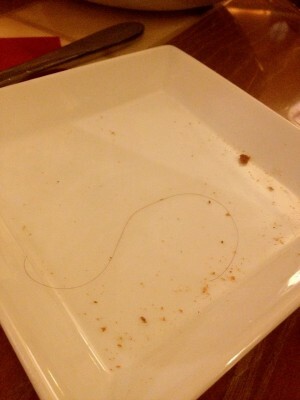 One member of our team found a long piece of hair at the bottom of his dish. The chef did come out to apologize, but also seemed to suggest that there was no way the hair could have come from the kitchen. Given that this was sitting UNDER the food the entire time, I’m not sure where else it could have come from. Also, the person eating the meal has VERY short hair (as did the server), so this didn’t come from either of them. I will say the restaurant handled it very well, they apologized but had to be reminded to remove the meal from the bill. Also, when I presented my Tables in Wonderland card with my credit card, the manager advised me that my Tables in Wonderland membership had expired, but gave me the discount anyway – which I thought was very nice. However, the experience was enough to guarantee that we won’t return to this restaurant again. 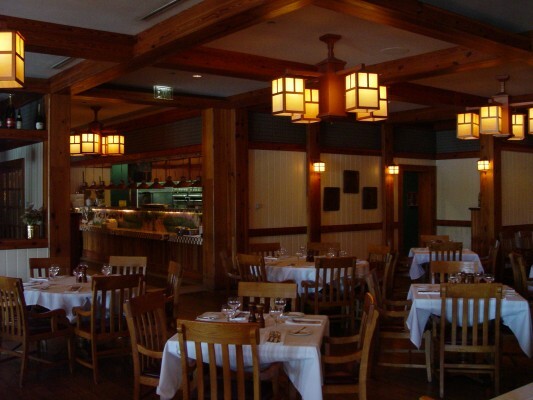 Our experience at the Yachtsman Steak House, however, was a much different experience. 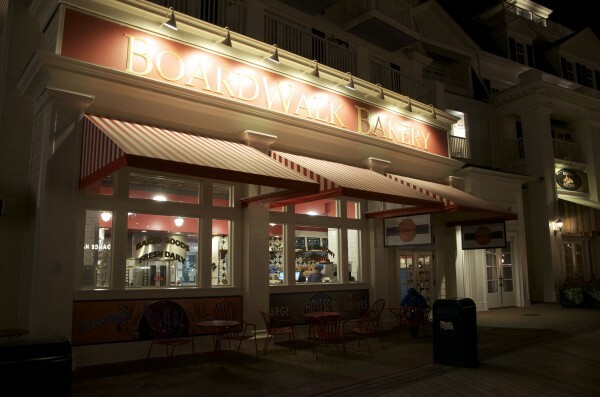 This is consistently one of the best restaurants on Disney property. While we all enjoyed our meal, we did have one issue – two of us had ordered the Rib Eye steak. Mine was perfect – perfectly cooked, perfect flavor – an excellent steak. However, another member of our party who ordered the exact same steak found that while the flavor was excellent there was a substantial amount of gristle (fat) throughout the steak. The chef explained that this can happen on some pieces of Rib Eye steak – which led us to wonder why you would serve it – especially at these prices. In terms of ‘counter service’ dining options you really only have two here. You can walk next door to the Beach Club for Beaches and Cream (something I highly recommend) or you can walk over to the pool and order something from Hurricane Hanna’s. Beaches and Cream is by far the better option. I do think the Yacht Club could benefit from some additional counter service locations, especially if the food at the Captain’s Grille remains as bad as it is. Coffee and pastries are sold at the lobby bar in the morning and yes, the coffee here is fresh brewed (not from concentrate), so that’s a small measure of consolation. 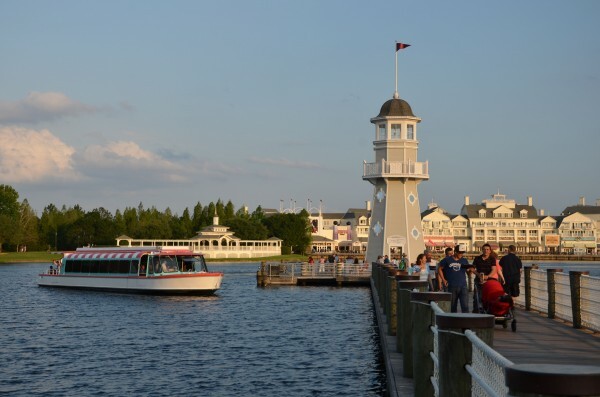 The Lakeside Marina at Disney’s Yacht Club is where small watercraft can be rented for some fun on Crescent Lake. 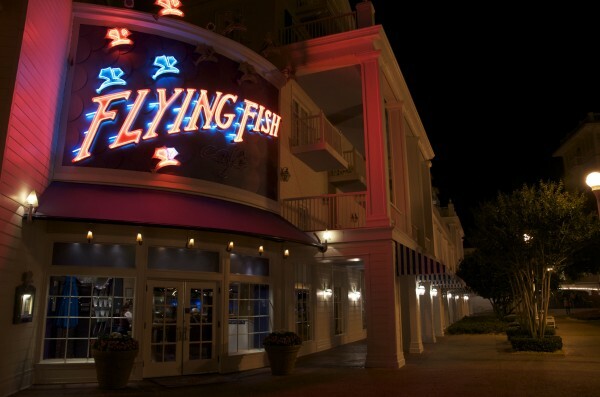 This is also where you can pick up a pre-booked Illuminations Cruise. 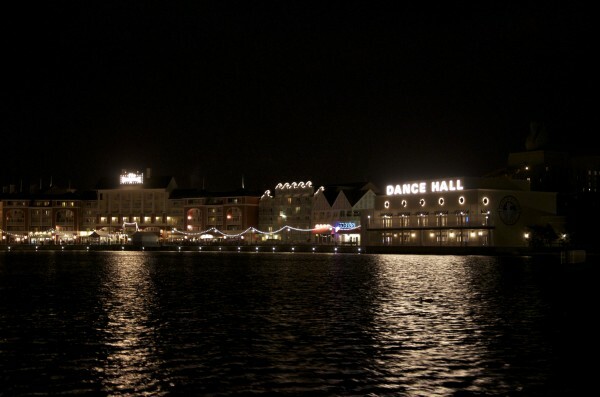 We did book one of the Illuminations cruises here, and I have to admit that I was a little disappointed. 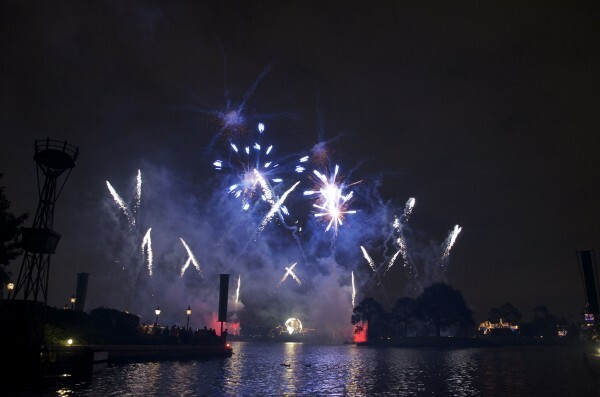 The last time I did one of these, you got onto the boat around dusk, and the captain took you for a leisurely sail around Crescent lake … past the Boardwalk, Swan & Dolphin resorts, up to Hollywood Studios then into Epcot for your viewing of Illuminations. 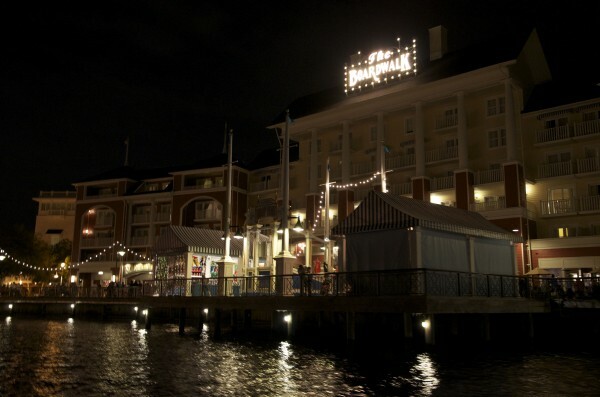 However, for this trip we boarded the boat at 8:30 pm, took a drive past the Boardwalk then into Epcot for Illuminations. If I hadn’t specifically asked for the trip up to Hollywood Studios it wouldn’t have happened and that was kind of disappointing. When you’re charging nearly $400 for one of these, you can give a little more. The boat was stocked with chips, bottled water and soft drinks, which is a nice touch, but I felt that it was a bit of a rush job and I likely wouldn’t book this again unless something more significant was added. The charge for the boat includes up to 10 people, but I wouldn’t recommend anything above 8. 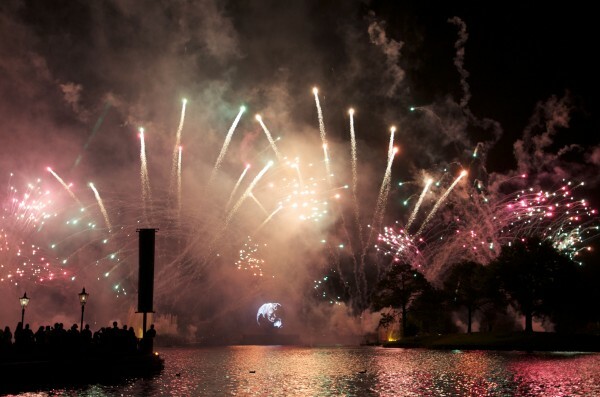 Even with that all that said, seeing Illuminations, especially from the water, is an experience that never gets old! 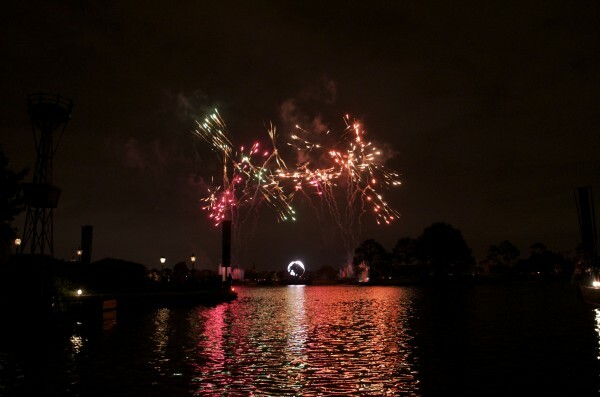 After the fireworks cruise, we decided to take a stroll around Crescent Lake. 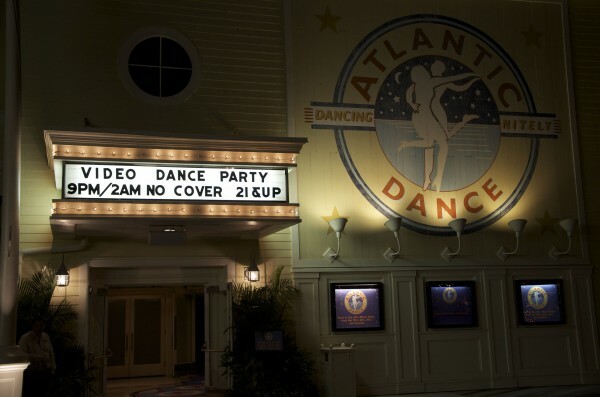 This is one of my favorite things to do as this area of Disney takes on an entirely different personality at night. 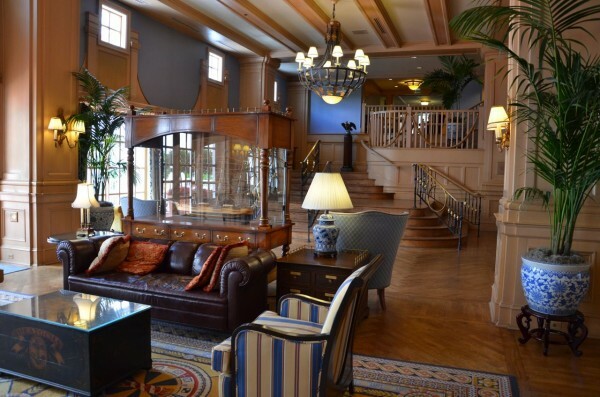 At a time when its easy to rail against prices of Disney hotels, the Yacht Club actually lives up to its hype. 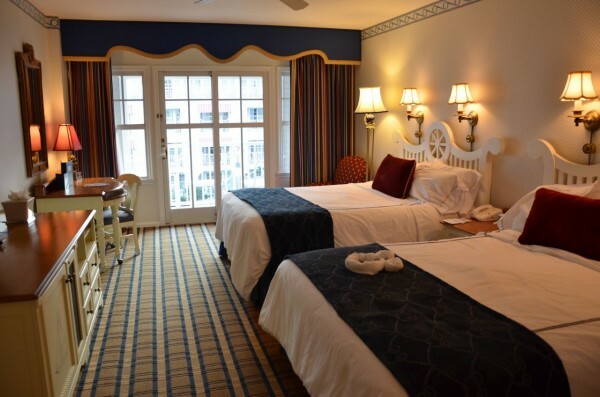 The $300+ per night price point is expensive, but the quality of the rooms, the level of service and proximity to what is arguably the best part of Disney property justifies the cost. Of course, we can’t overlook the fact that Stormalong Bay is THE most popular pool at any resort on Disney property, and likely at any hotel in Orlando. Taken together, this makes the Yacht Club an excellent choice. 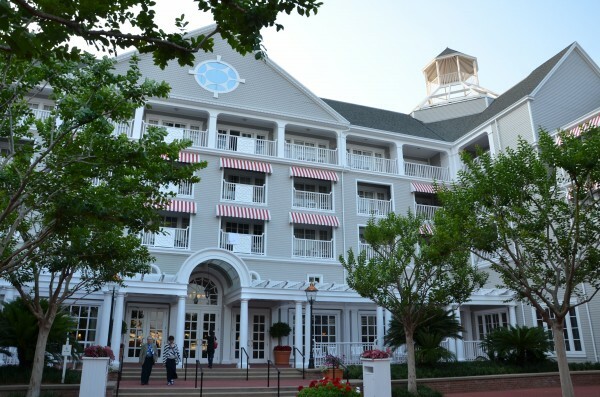 The fact is that the Yacht Club was home base for three of the most memorable days I’ve spent at Walt Disney World in a long time – considering what I do for a living, that’s saying something. The mark of a great resort is one that not only provides all the comfort and amenities you expect, but one that also weaves itself seamlessly into the experience. Done right, Disney resorts are not just a place to stay, they become part of your vacation experience. 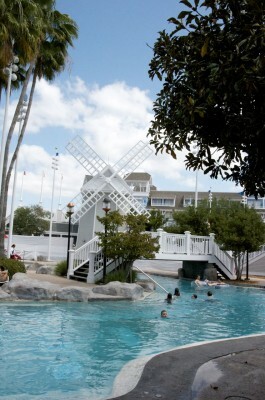 I can honestly say that Disney’s Yacht Club is a resort done right!